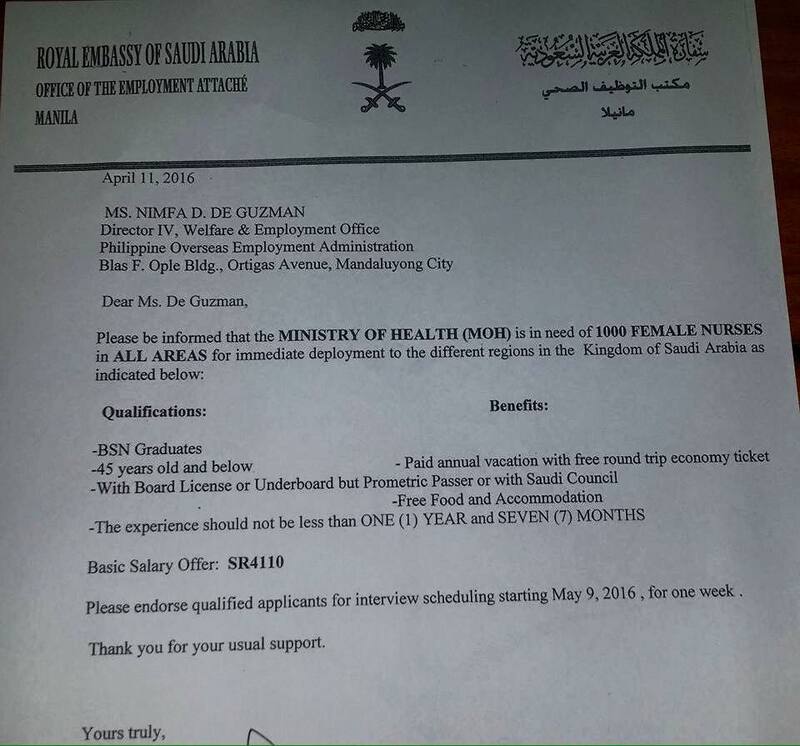 gratis datingsite Saudi Ministry of Health is need of 100 females Nurse all areas for immediate deployment to the different region in Kingdom of Saudi Arabia. Starting of Interview will be on May 9, 2016 for one week only. For More information Just go to Philippine Overseas Employment Administration. Beware of Illegal Recruiters and Agencies ,for you own safety just go directly to POEA. President Xi Jinping says he hopes to get China-PHL ties back on track.